Featured Collections at the library. 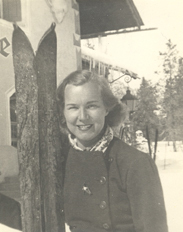 Ethel Van Degrift was an Associate Editor for Ski Illustrated and the ski columnist for the Los Angeles Times from 1939-1954. The collection consists of thousands of photographs, brochures, and correspondence, books and periodicals. 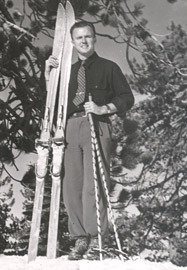 Charles photographed California skiing and ski area growth for more than 30 years, from the 1940's through the 1970's. His collection includes photographs of Kratka Ridge, Mount Waterman, Snow Summit, Mammoth Mountain, and other California ski areas. A collection comprised of more than 50 years of ski columns, photographs, ski club memorabilia, and ephemera from one of California's founding ski journatlist. 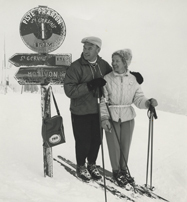 Carson and Vi were pioneer members of the Oakland Ski Club and the Southern Pacific Ski Club. Carson worked as a ski journalist for the San Francisco Examiner for many years. Extensive collection of photographs documenting ski racers, Western ski areas, the 1950 FIS World Alpine Championships in Aspen, and the 1960 Squaw Valley Winter Olympics. More was the longtime owner of Ski Sunrise, located near Wrightwood. He was a major proponent of ski development on San Gorgonio in the 1960's. 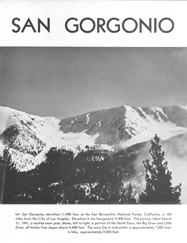 The collection includes numerous photographs, documents, and correspondence related to the battle for San Gorgonio ski development. 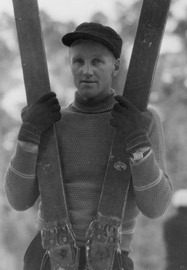 Benedikter influenced and promoted skiing in Southern California from the 1930's through the 1970's. He was an instructor, started a Pine Needle Ski School where Universal City is today, was a partner in the initial development of Holiday Hill (today known as Mountain High East), and staged a ski jumping meet during the 1951 Los Angeles County Fair. His collection includes photographs, ephemera, and correspondence. 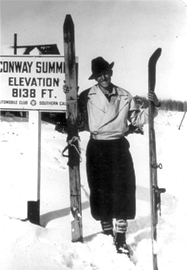 Dawson was an almost life-long member of the Sierra Club and won the San Gorgonio Downhill Ski Race more than any other skier. He was involved in the fight against ski development on San Gorgonio in the 1960's . 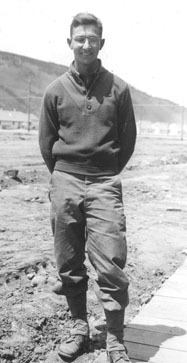 His papers include documents, correspondence, and publications related to San Gorgonio ski development. 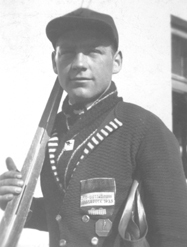 Elvrum came to the United States from Norway in 1930 and quickly made a name for himself as a ski jumping champion. He served in the 10th Mountain Division during the war and upon returning home resumed the ownership and development of Snow Valley. He owned the area for 30 years, earning the nickname “Mr. Snow Valley.” His collection includes an assortment of photographs and ski jumping programs from the 1930s, ski trophies, newspaper clippings, films, and a pair of wooden Gresvig jumping skis. Baxter worked for the LA Herald Express. later the LA Herald-Examiner, for more than two decades as their Travel, Outdoor, and Sports Afield editor. He wrote many ski columns for the Herald and took hundreds of ski photographs all over the West. 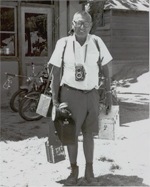 His collection includes historic photographs of Bear Valley Ski Area, Stein Eriksen, Mammoth Lakes, Mt. Baldy, Snow Valley, Mount Waterman, and many other western ski areas. 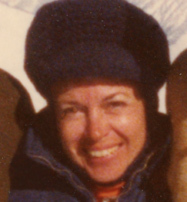 Luanne Pfeifer was a longtime ski journalist, reporting on skiing for the Santa Monica Outlook, the Los Angeles Times and Ski magazine. She wrote "Ski California," a comprehensive guide to the state's ski areas and “Gretchen’s Gold,” a biography of Olympian Gretchen Fraser. Her collection consists of her archive of ski columns and magazine articles.